After smoldering for over a year, the Moritomo Gakuen scandal this week ignited into a conflagration that may swallow the careers of Japan’s most senior politicians. Originally a suspiciously cheap sale of government land in which Prime Minister Abe and his wife may or may not have intervened, the scandal has been rendered far more serious by efforts to cover it up with Ministry of Finance officials editing and redacting key documents related to the sale before submitting them to the Diet as evidence. With less than six months before the LDP votes to elect its new president – an election in which Prime Minister Abe had planned to seek a historic third term – such a serious scandal would cast uncertainty over the outcome at the best of times. The falsification of documents to be submitted to the Diet is a serious crime, made worse in the public eye by ham-fisted attempts to cover up the cover-up with claims that no copies of the original documents remained after the Asahi Shimbun reported on the falsification last week. Governments have fallen over less. 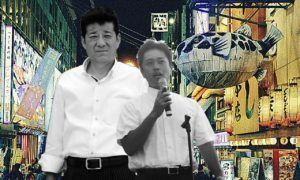 What makes this scandal even more dangerous for the LDP in general and for Prime Minister Abe in particular, however, is how it tests the most important relationship in the party – the alliance between Abe and his Finance Minister, Taro Aso, who has led the Ministry of Finance for the entirety of Abe’s five-year tenure. Aso, himself a former prime minister, isn’t just an LDP grandee; he’s also the head of the second largest faction of lawmakers in the party after the Prime Minister’s own Hosoda Faction. While the influence and relevance of the factions to LDP internal politics has faded greatly in recent decades, much of the stability of the current administration is owed to the alignment of Abe and Aso’s factions, which between them command a formidable voting bloc – 157 of the party’s 407 elected members. Now, however, that relationship is sorely tested. Aso was the man in charge of the ministry where the documents were altered; responsibility for the cover-up rests with him. However, the alterations themselves concern the Prime Minister; his name and that of his wife, Akie, are among the names removed from the documents before they were presented to the Diet. Whether those names appeared in a context that actually implicates the Abes in wrongdoing is arguably secondary to the fact that someone clearly ordered their names illegally removed from official documents. While there are already efforts underway to pin the blame on civil servants, the public is unlikely to buy the notion of an enterprising bureaucrat simply choosing to commit such a serious crime without serious pressure from above. Much of the public – over 70 percent, according to an FNN/Sankei poll – thinks Aso must resign. 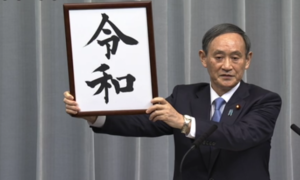 Aso himself, in a news conference today, was bullish and pugnacious; his strategy is to place the blame on Nobuhisa Sagawa, the former Ministry of Finance bureaucrat whom opposition parties claimed was promoted to head of the National Tax Agency as a reward for misleading the Diet in testimony related to Moritomo Gakuen last year. Sagawa is the most obvious bureaucratic scapegoat, but has already resigned from the NTA – and Abe and Aso’s outspoken patronship of his career over the past year will make it hard for them to disavow him at this point. The question, ultimately, will come back around to whether Aso takes the fall for his ministry misleading the Diet and whether he resents doing so enough to want to take Abe with him. The complicating factor is that there’s never really been any sense of Aso being personally or directly loyal to Abe. The two men share a certain political pedigree, including political strongholds in the neighbouring prefectures of Fukuoka (Aso) and Yamaguchi (Abe), but their political relationship has been more a marriage of convenience. Aso is the scion of a powerful political dynasty and controls a major faction, but he makes an ideal ally for Abe since he seems perfectly happy with his fiefdom at the Ministry of Finance and has no designs on a second shot at being prime minister – a role he gave little impression of enjoying when he held it. 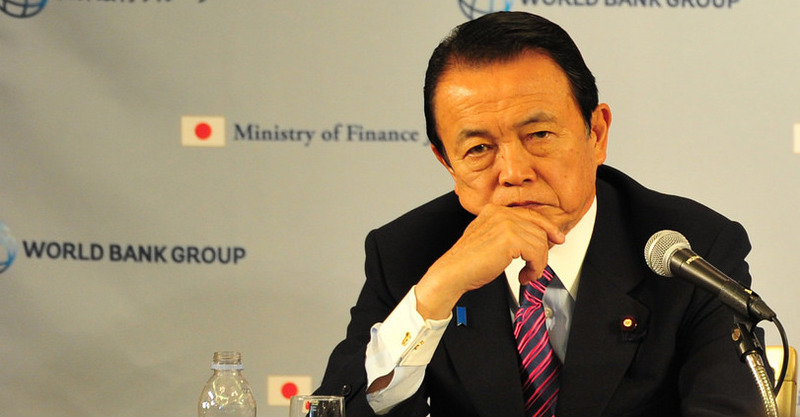 Whether the unedited documents contain a smoking gun that implicates the Abes or not, Aso will undoubtedly be nonplussed at the idea that his position and prestige should be on the chopping block over what is ultimately an Abe scandal. Indeed, nonplussed may be a little too diplomatic; Aso’s press conference today suggested outright anger. If he resigns, it will likely be with a strong sense of resentment, which will throw the electoral calculus of September’s LDP leadership contest out the window. If the Aso Faction’s votes are up for grabs, Abe’s future looks deeply insecure. If he declines to resign, Abe will face calls to fire him – but for all that Abe has gathered power and influence to himself as prime minister, such an aggressive move is likely beyond him, especially since doing so would also certainly sink his chances of reelection in September. 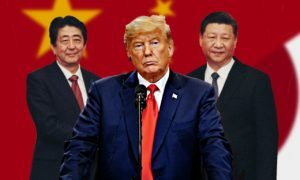 What’s perhaps most likely of all is that both men try to fight on in their positions – with Abe making a grand show of defending his Finance Minister while Aso stages a theatrical hunt for the Real Culprits within the bureaucracy. The public will not be satisfied, and unlike last time the Moritomo issue flared up, Kim Jong Un will not ride to Abe’s rescue by distracting the nation with missile tests. The LDP may, however, gamble on being able to restore confidence in the cabinet by the time the next major elections roll around in 2019. Even so, the pressure to replace Abe in September may become inexorable, especially as Aso is likely to fume at being put in this position by his leader’s indiscretions for quite some time. A prime minister who had been expecting a triumphant and historic third-term coronation may now find his only unpalatable option to be a careful and dignified exit from the political stage later this year. Just as Richard Nixon famously found, it’s not the crime that gets you; it’s the cover-up. Abe May Survive the Moritomo Scandal - But To Whose Benefit?